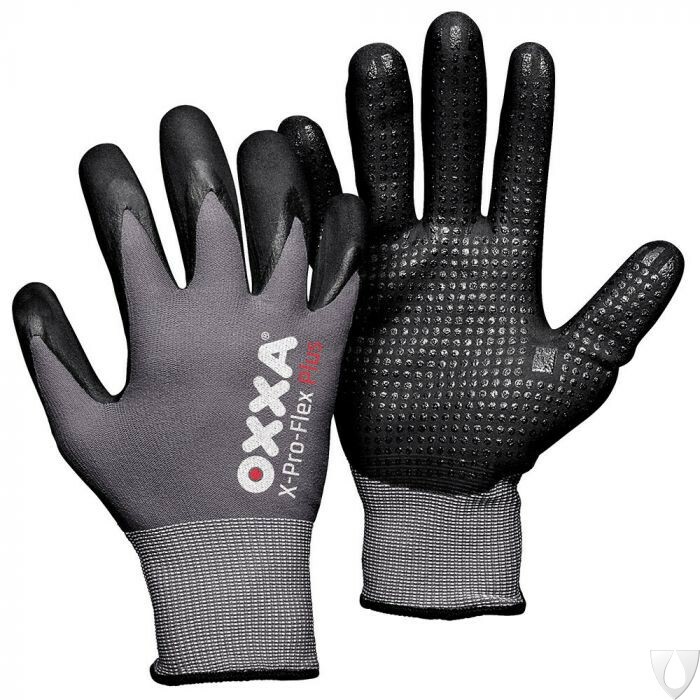 OXXA X-Pro-Flex Plus 51-295 work gloves are extremely comfortable to wear. The nitrile dots provide the nitrile foam coated gloves with an even better grip on dry, greasy and oily objects. Glove with nitrile foam coatin. Nylon/Lycra outer liner (15 gauge). With nitrile dots for an even better grip. Super light coating offers a high level of fingertip sensitivity and flexibility and increases the user’s productivity. Anti-slip by means of NFT (Nitrile foam technology), the coating provides a good grip on dry, greasy and oily objects. The dark colour makes the glove excellently suitable for use in environments with a certain level of contamination.